Did you watch the super bowl last night?! Yeah! Who would have thought the Giants could stage a comeback like that? … If you’re into football. What are you so excited about then? 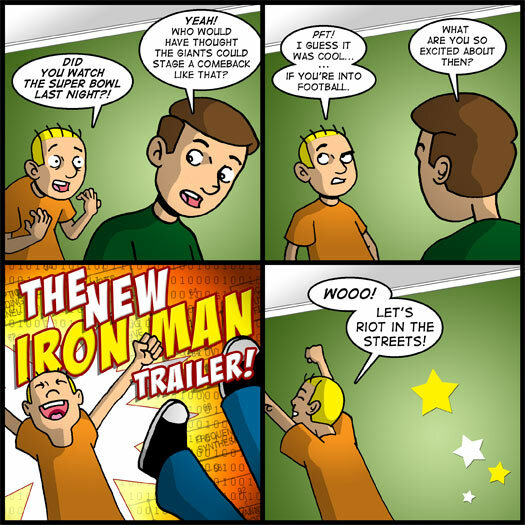 The new Iron Man trailer! Wooo! Let’s riot in the streets!